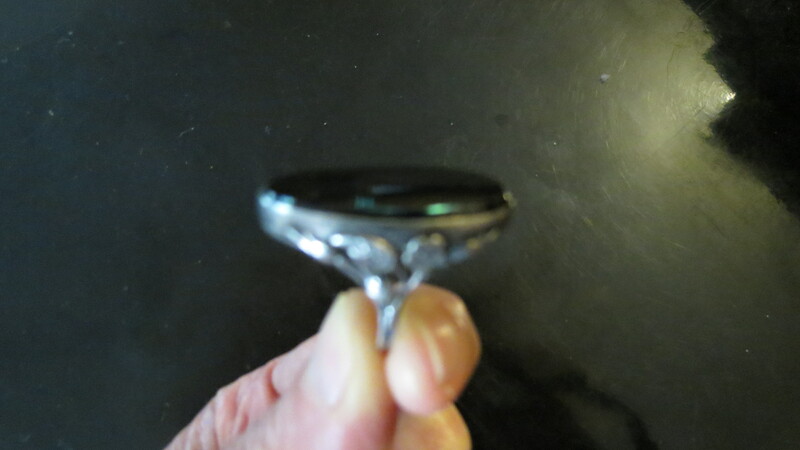 I don’t often buy fine jewelry when I’m hunting, but this piece is outstanding, lovely and versatile. A very pretty statement ring. 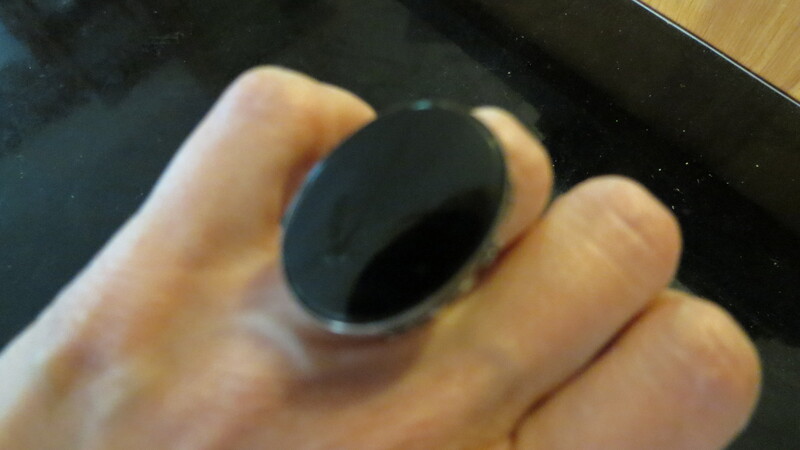 Often worn in Victorian times, onyx was used as “mourning jewelry” worn by ladies (and, possibly, men) after the death of a loved one. But, it’s gorgeous on its own and accents my black and white costumes very well. I like to show my true vintage and antique jewelry along with clothing posts because it makes such a difference to any outfit. 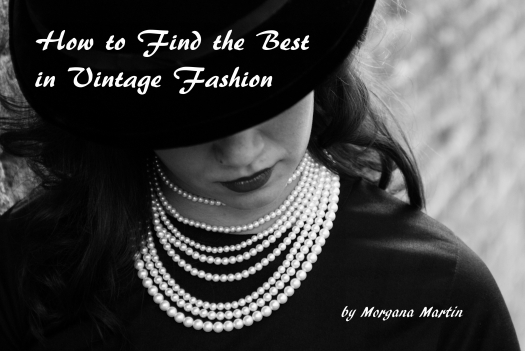 A piece or two of jewelry can transform an outfit almost like a disguise . . . . . . . . . . . . . . . .
Posted on August 16, 2016 by Morgana Martin, the magicvintagespy. This entry was posted in 1890's, accessories, antique, blogger, buy, buying, classic, cocktail party, dressy, early 1900's, elegance, elegant, fashion, find, guidebook, how to, jewelry, ladies, magicvintagespy, mourning dress, Nineties, photos, references, retro, shopping, store, stores, traditional, true vintage, Uncategorized, Victorian, vintage, vintage accessories, vintage blogger, vintage clothing, vintage expert, women's and tagged 1800's, 1890's, accessories, antique, blogger, buy, buying, classic, clothing, cocktail party, dressy, early 1900's, elegance, elegant, fashion, find, guidebook, how to, jewelry, ladies, ladies', magicvintagespy, Magicvintagespy.com, mourning, mourning dress, mourning jewelry, Nineties, onyx, photos, references, retro, ring, shopping, shopping tips, silver, store, stores, traditional, true vintage, Uncategorized, Victorian, vintage, vintage accessories, vintage blogger, vintage clothing, vintage expert, women's. Bookmark the permalink. ← ICONIC KENNEDY ERA MID-CENTURY LBD: TIMELESS ELEGANCE . . . . . . .